For more than a century, Scripps Institution of Oceanography at UC San Diego has played an important role in creating a healthier planet for future generations, and philanthropy continues to play a vital role in helping Scripps achieve that goal. Scripps scientists have sailed to tropical islands and ventured under polar ice, observing environments and their inhabitants collecting specimens and samples, and recording voluminous data for laboratory analysis. Today, Scripps is an international leader in seeking scientific understanding of the globe, an effort that connects scientists with leaders in industry and policy to address concerns that impact our world. Groundbreaking discoveries at Scripps inspire solutions to some of the greatest environmental challenges we face today. Every year, thousands of generous donors invest in Scripps, and whether they endow a student's education, name a new species in the oceanographic collections, provide funding for cutting-edge research, or support the educational programs at Birch Aquarium at Scripps, every gift matters. Contact us to learn more about why donations to Scripps matter so much. 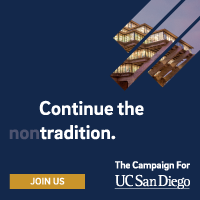 Call 858-822-1865 or email supportscripps@ucsd.edu. From its founding more than a century ago, Scripps Institution of Oceanography has relied on private gifts and grants to sustain its scientific excellence and its outstanding students. With so many possibilities and challenges ahead, private support is more meaningful than ever. Scripps scientists are solving the rapidly escalating environmental challenges of the 21st century. Scripps continues to be the foremost environmental research institution, addressing issues of local and global significance.